Thursday, March 29th, I had some time int the afternoon for simploring. I picked Baileys Norge from scoop.it SL Destinations. Right next to the landing point is a board of orientation with all points of interest. That’s very convenient. 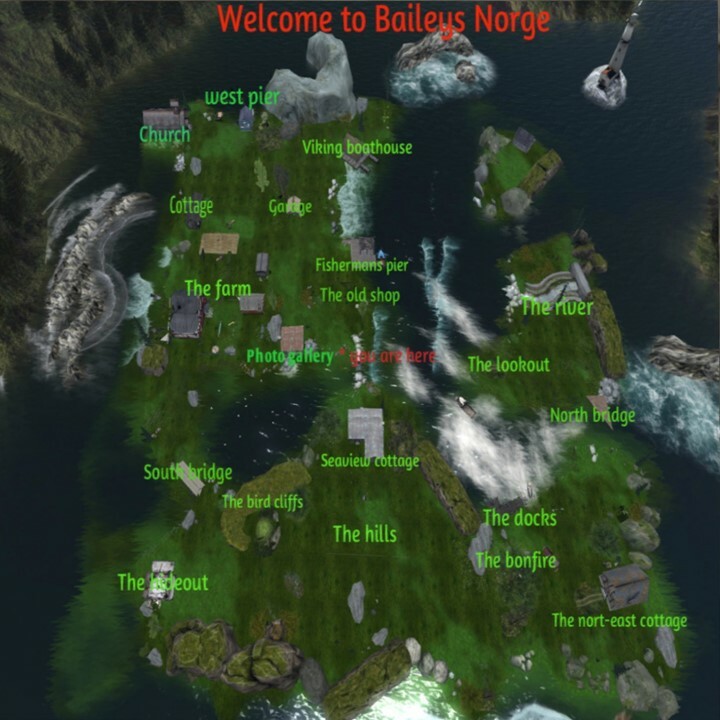 And Baileys Norge is really all of the above. I took a walk from the landing point along the shores of the island and visited the above mentionend points of interest. I rarely saw a sim with that many opportunities to sit and enjoy. The sim surround is selected perfectly to fit into the theme. There are several lodges and homes and all of them are differently furnished very detailled. At least it looks like the family and friends are living here. All doors are open and you can walk in and either get ideas for your own home or simply sit at a window and enjoy the view outside. You can take very atmospheric pictures at Baileys Norge and of course I did. I used “Annan Adored Realistic ambient” for my pictures. I also tried out some of the many places to sit and enjoyed the peace and the nature. 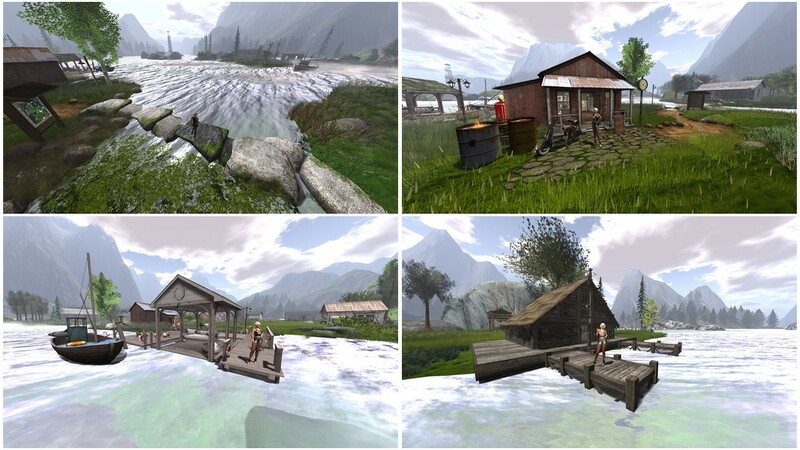 My visit was another short vacation within Second Life, a little time-out and exploring it was fun. At the end of my visit Jenny came inworld and joined me sitting at “The lookout”. My thanks go to the “(-_*) The Bailey Family & Friends” and to Marley (marleyy) for providing Baileys Norge to the public and for my enjoyable hour exploring it.